Fakhar Zaman finally got a match on tour and he wasted no time in showing what Pakistan had been missing. Why he was left out of the two tour matches before the test against Ireland still remains a mystery. With Zaman scoring a fluent 71 off 98 deliveries, Pakistan have an interesting problem at hand. Imam is of course the in-form opener currently. Azhar Ali had woefully been out of form, however considering he is the senior most batsman in the squad, his place was never in danger. Add to that his 73 against Leicestershire and he is a sure starter against England at Lord's. So where does Fakhar Zaman fit in? He surely needs to play. He is too good a batsman to be sitting on the bench and Pakistan can benefit plenty from his aggressive stroke play at the top of the order. I will go with Fakhar and Imam opening the innings and Azhar moving down to number 3. Asad, Babar, and Haris can follow giving a Pakistan a strong top 6. They need to go in with 6 batsmen with Sarfraz at 7 and not the combination they went in with against Ireland. Unfortunately Faheem may have to miss out, despite a great performance with the bat in his debut test against Ireland, as I do not see him as the third pacer. As a fourth seam option, like he was against Ireland, he is fine. 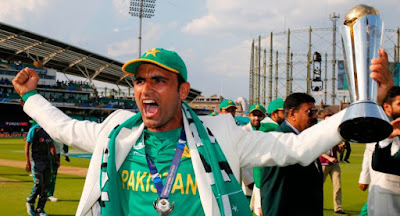 It is time for Fakhar Zaman to don the whites for Pakistan and it will be quite a moment if he is given this opportunity at the home of cricket this Thursday!